To some it’s just floor, to others, it’s an industry that has seen many innovations over the years. These innovations have allowed manufacturers and traders to offer better services, easier processes and more durable products to both consumers and businesses alike. So, this article will explain just how these innovations have fled through the flooring industry over the years and brought us to where we are today. The first type of flooring in a home was the wooden floorboards. It became extremely popular during the 18th century to paint them decoratively with nice designs. Around the same time, the industrial revolution produced steam driven machinery, which allowed mass production of the floorboards. Making them easier and quicker to install. It wasn’t long before tongue and groove floorboards became popular, in turn, meaning the boards could fit together nicely. Before the advent of the power sander, wood floors had to be scraped smooth by hand before they gradually started to be covered up by carpet and underlay. Hardwood floors remained popular into the mid-20th century, at which point manufactured materials became a lot more popular and even durable due to technology innovations. The late 20th century, saw a revival of hard wood flooring as well as innovation in the production of engineered wood flooring that could replicate the older, more traditional styles. Carpet has significantly evolved overtime. In style, technology and texture. Since the introduction of wool/felt to create a cushioning on the floor, to the woven artistic looks of modern carpets. The wool/felt option is now more often used as carpet underlay to protect the carpet above it, whereas previously it would have been used as the carpet itself. It was in 1980’s that the first soft furnish flooring came into fashion. They helped to cover up uneven sub floors as well as make it more comfortable to walk on. These days, synthetic fibres such as polypropylene, nylon or polyester are often used, as these are less expensive to buy, make and sell from. Traditional carpets would often unravel or come to pieces, however technology innovation has allowed carpet companies to now avoid this. Carpets were also a challenge with dirt. There was a need to hide it and solved by using darker colours. While it would be the darker colours that usually do the best job here, there’s been a rise in the number of innovative weaving techniques, that allow even the lightest coloured carpets to hide the dirt. What’s more, softer carpets are now just as durable as the harder options. Felt is now more commonly used as underlay. While still on the market, PU foam underlay and rubber carpet underlay has pretty much taken its place. It often surprises people that laminate flooring was only properly introduced during the 1970-80’s even though the first design was in the 1920’s, in Sweden. It was innovated to offer a cheaper floor, that was easy to install. High Pressured laminates were produced in the 70’s, which saw a significant boom to the flooring market not just because it offered consumers such a wider choice of options. Initially, it was held together with glue or resin and then cured with heat or pressure. The first click in lock systems were introduced during the 90’s, while technology started to allow manufacturers to introduce sound reduction technology. Underlay manufacturers soon began to promote their laminate products as sound reduction too. Often in the form of a DB rating. Affordability and durability are key features. But the fact that many suppliers can now create stunning flooring that is easy to install, means homeowners can literally, head down to the store and begin fitting their new floor within a matter of hours. scratch resistance also became a key feature of laminate, allowing it to be fitted in the rooms which take the most battering, such as the Kitchen or utility room. It’s also moisture resistant, and virtually maintenance free. Technology continues to improve to allow better structure and appearance when laid. But even the worst DIYers can install laminate flooring in their home. Luxury Vinyl tiles, like laminate flooring, are durable and versatile options. They are used in various environments, from both commercial locations to the homely kitchens. The first polyvinyl tile was introduced in the 1920’s and over time increasingly became seen as hygienic as well as being good for comfort living. But demand reduced due to warnings about it containing asbestos in the 1980’s. 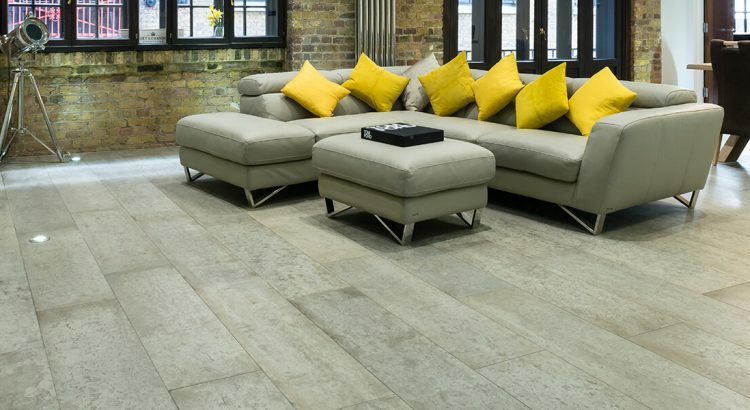 Once the need for these concerns had been removed from the product, luxury vinyl tile or (LVT) began to make a swift return to the markets demands. The designs are that flexible that they can imitate almost any type of flooring, including giving a wood, stone, or even a laminate feel to any room. Tile design has progressed substantially – becoming sharper and more realistic through advancements in digital printing. Wood tile looks like wood, marble tile looks like marble, etc. These are just a few of the key innovations that have hit the flooring market over the years. They all allow us to have flooring in our homes that can keep heat in, reduce sound travel and last longer and longer. Matt is an author on the web, with experience of working in the flooring industry as well as being a part of innovations and changes across the industry itself. He’s written articles related to underlay and offers flooring advice on a range of forums.